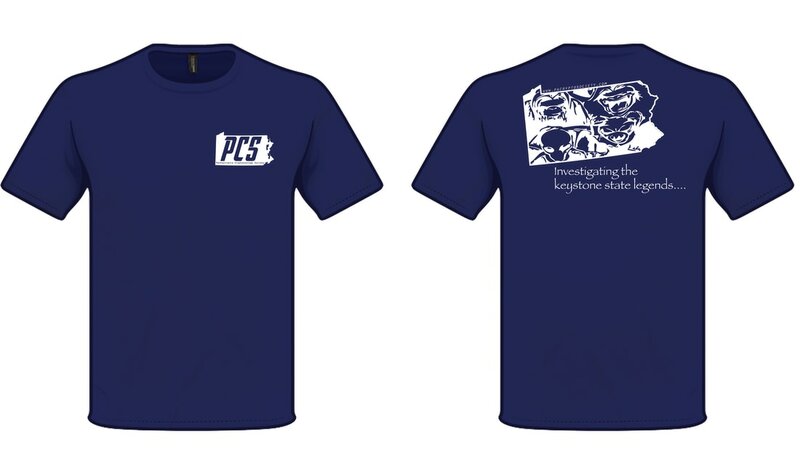 Order your own Pennsylvania Cryptozoology Society T-shirt today and support the PA Crypto Society. You can order your T-shirt using your credit card or pay pal. ​ You may also pay by check or money order. Make check payable to Eric Altman and send payment to 181 Cardinal Drive, Jeannette PA 15644.